Barcelona secured a comfortable 4-1 victory over Real Betis at the Estadio Benito Villamarin on Sunday evening. The win, coupled with Atletico Madrid’s defeat at the weekend, extended the Blaugrana’s lead at the perch of the table to ten points. The home side started the better of the two with their confidence on the ball refreshing to see. However, a poor concession of a free-kick in the 18th minute allowed the away side to take the lead. Lionel Messi stepped up and rifled the ball into the far corner. In first-half stoppage time, the visitors doubled their advantage courtesy some slick play between Luis Suarez and Messi. The former drew defenders away before playing an exquisite back-heel pass into the path of the latter. The Argentine made no mistake and stabbed the ball home. The Uruguayan got himself on the score-sheet in the 63rd minute when he bulldozed past a couple of challenges and slotted the ball into the bottom corner. 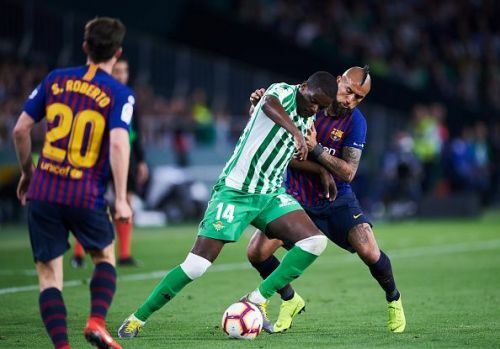 Though Betis pulled a goal back through Loren, the result was put firmly beyond doubt by Barcelona’s No.10 in the 85th minute. Real Betis’ style of play has been characterised by an ultra-aggressive philosophy with Quique Setien a firm believer of playing football the beautiful way. However, the said approach has its fair share of shortcomings and on Sunday, those came to the fore. The hosts enjoyed the lion’s share of possession and ended up with 56% of the ball throughout the game. They looked accomplished and tried to drag the Barcelona defence across the pitch. Yet, they weren’t successful in their endeavours as they managed to muster a grand total of 3 shots on target. While the build-up play was quick and pleasing on the eye, the end product was sorely lacking. And with them not being able to make the net ripple at the other end, they were hopelessly caught out on the counter. 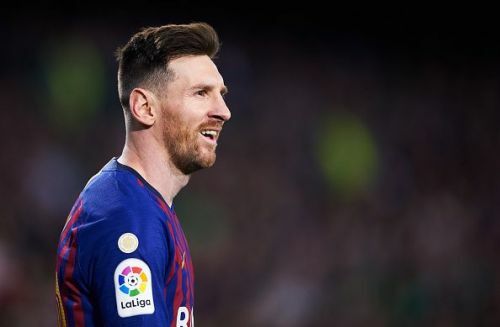 Time and again, the midfield was by-passed easily on the break and thus, the likes of Suarez and Messi had a field day exploiting the chinks in Betis’ armour. But, all is not doom and gloom for the hosts. On days when their offensive play clicks, there are hardly any teams in Spain capable of stopping them. After all, they beat Barcelona 4-3 at the Camp Nou earlier in the season. Yet, unfortunately for them on Sunday, their gung-ho approach ended up creating more problems than solving them. FC Barcelona: Is Quique Setién the perfect replacement for Valverde?